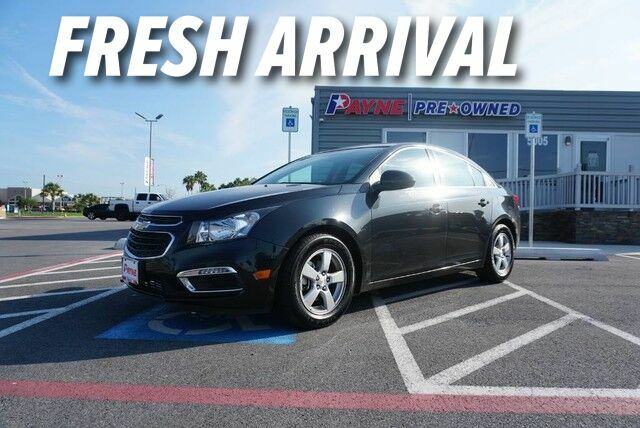 This outstanding example of a 2016 Chevrolet Cruze Limited LT is offered by Payne Weslaco Motors Buick Chevy GMC. When it comes to high fuel economy, plenty of versatility and a great looks, this ChevroletCruze Limited LT cannot be beat. This Chevrolet Cruze Limited's superior fuel-efficiency is proof that not all vehicles are created equal. The quintessential Chevrolet -- This Chevrolet Cruze Limited LT speaks volumes about its owner, about uncompromising individuality, a passion for driving and standards far above the ordinary. There is no reason why you shouldn't buy this Chevrolet Cruze Limited LT. It is incomparable for the price and quality. The 2016 Cruze Limited is a refined compact sedan, offering a choice of powertrains, excellent ride comfort and top-tier safety features and amenities. The Cruze Limited is built on a global platform and its safety performance has been tested and proven with top results in many of the world's crash-test programs. It also offers more active safety options than is typical in this class. For those who want to keep compact but use the back seat occasionally, the Cruze Limited is particularly roomy, with a quiet, comfortable ride and some excellent connectivity with the Chevrolet MyLink.